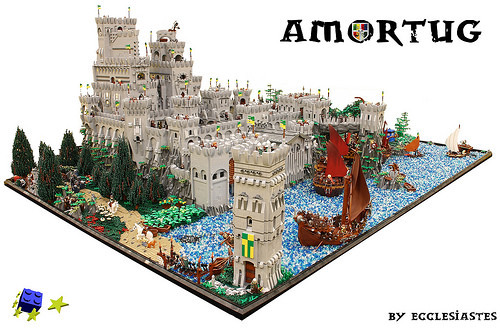 If you like big castles, we got another treat for you. This work by Marco den Besten (‘Ecclesiastes) and Tijger-San features a classical approach of using blocky gray wall and towers, but the patterns in the architecture makes an otherwise simple structure appear ornate. You can see more photos of the creation on Eurobricks.